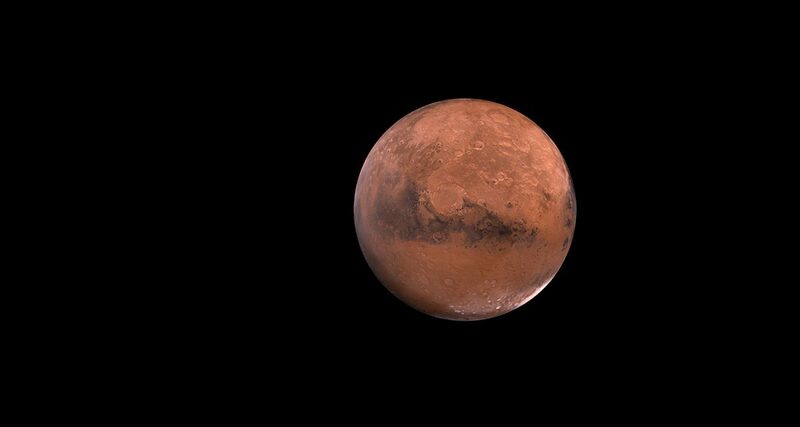 Mars might be about 225 million kilometres away from Earth but it’s still our closest neighbouring planet. So in the spirit of getting to know our neighbours, here are our favourite ten Mars Facts. Mars is approximately half the size of Earth, but because Mars is a desert planet, it has the same amount of dry land as Earth. Mars have two moons – not one like Earth. Mars’s moons have special names – Phobos and Deimos. Phobos is the larger of the two moons and is on a collision course for Mars (don’t worry though, it will take about 50 million years to reach the Martian surface). Deimos is a small, lumpy moon which orbits Mars approximately every 30 hours. Gravity on Mars is 62% lower than on Earth. This means that a kilo of apples on Earth would only weigh 38 grams on Mars. Mars takes 687 days to orbit the sun. If you’re ten on Earth, you’re only five on Mars and you have to wait much longer for your birthday every year! The seasons on Mars are extreme because of its elliptical orbital path around the sun and they last about twice as long as the seasons on Earth. Martian snowflakes are made of carbon dioxide rather than water, and are thought to be very small particles that create a fog effect instead of appearing as falling snow. Mars is the home of Olympus Mons – the largest known mountain in the solar system. Olympus Mons is also a volcano. A huge canyon on Mars called Valles Marineris stretches 4,000kms across the planet’s surface, making it almost as wide as Australia! Astronomers could see Olympus Mons through telescopes in the 19th century. That’s almost 200 years ago! The first spacecraft to land on Mars was NASA’s Viking spacecraft, which arrived on the Martian surface on 20 July 1976. Have you completed the Mars Quiz from Chapter One of the Mars Diary yet? Have a go now! One Small Step is an award-winning, animated short film from TAIKO Studios. 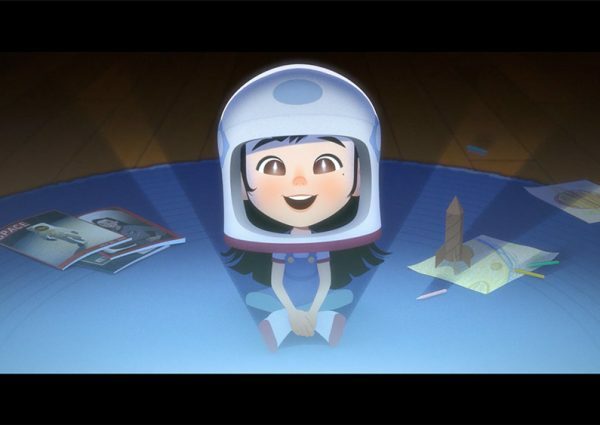 It tells the story of Luna Chu, a Chinese-American girl who dreams of one day becoming an astronaut. 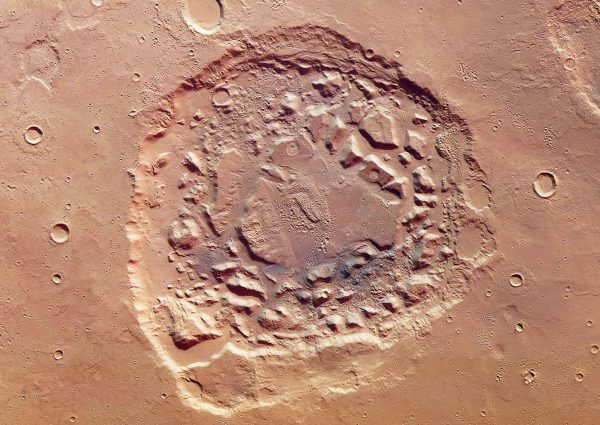 A huge crater named Ismenia Patera exists on the Red Planet. But where did it come from?